Register by July 21 for Your Name on Your Bib! Lily Flanagan's/Dirty Sock Run Beer Glass to the 1st 150 to sign up! Join us here after the finish for race results, awards, raffles, music & fun! 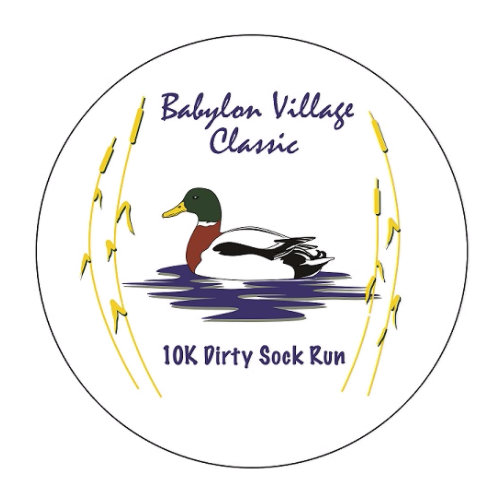 The Dirty Sock Run is part of the USATF Long Island Track and Field Cross Country Series and is one of the few 10K races on the Island. Our run is more than just a race. Besides giving runners a chance to compete and have fun, the Run raises desperately needed funds for local food pantries and soup kitchens. 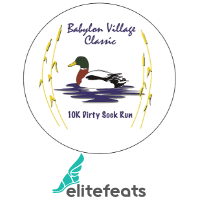 The race follows the Babylon Village trails from Park Avenue up past Southard’s Pond, snakes further north towards Belmont State Park, wraps around Belmont Lake and then weaves back through the picturesque wooded trails to the finish. The course is mostly flat and offers water stops along the way. Finishers are greeted to the roar of cheering fans and to hearing their names called as they cross the finishing mat by nationally recognized race announcer, Terry Bisogno. HURRY Limited to 1st 1,000! Lily Flanagan's/Dirty Sock Run Beer Glass to the 1st 150 to sign up - you get your glass at packet pick up! The race is limited to 1000 participants. PACKET PICK UP IS ON SATURDAY THE 11TH FROM 2-6 AT AT FITNESS INCENTIVE IN BABYLON ON DEER PARK AVE AND 6-7:30 ON RACE DAY. Not only do we have the best race, the best sponsors...but we also have the BEST PRIZES!